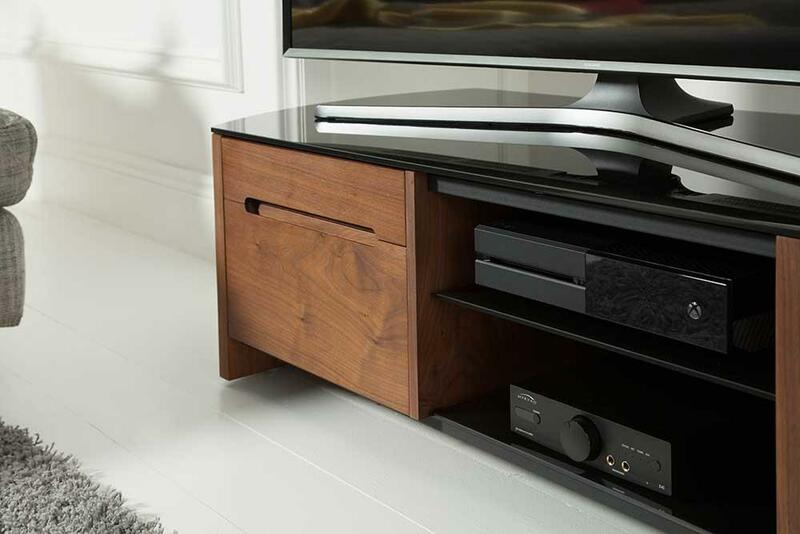 The Finewoods Cabinet is a solid and exciting combination featuring beautiful real wood veneers with contemporary black glass, all underpinned by a rigid steel support frame. 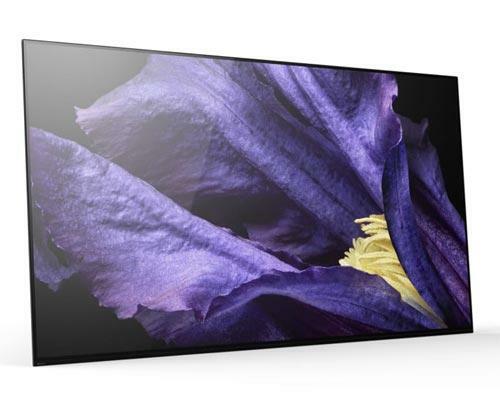 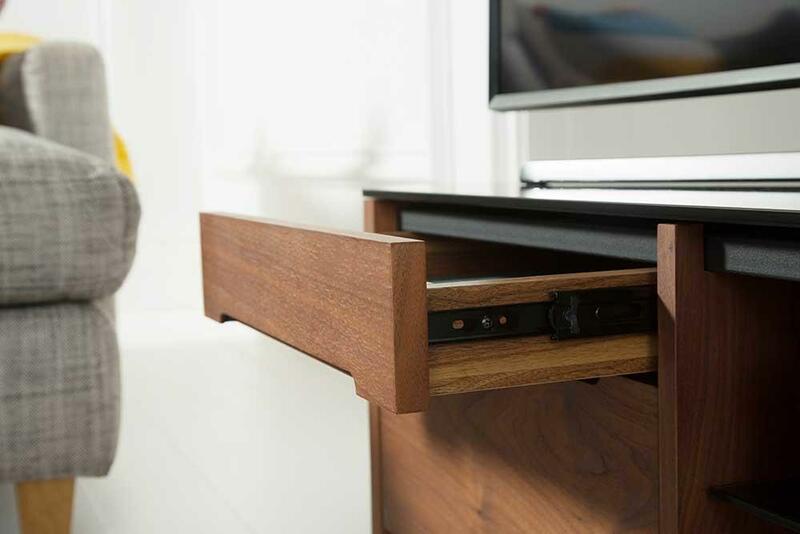 Complete with a felt lined media drawer and a flip-down storage compartment with magnetic catches, the Finewoods Cabinet is functional, attractive and perfectly complements modern AV equipment. 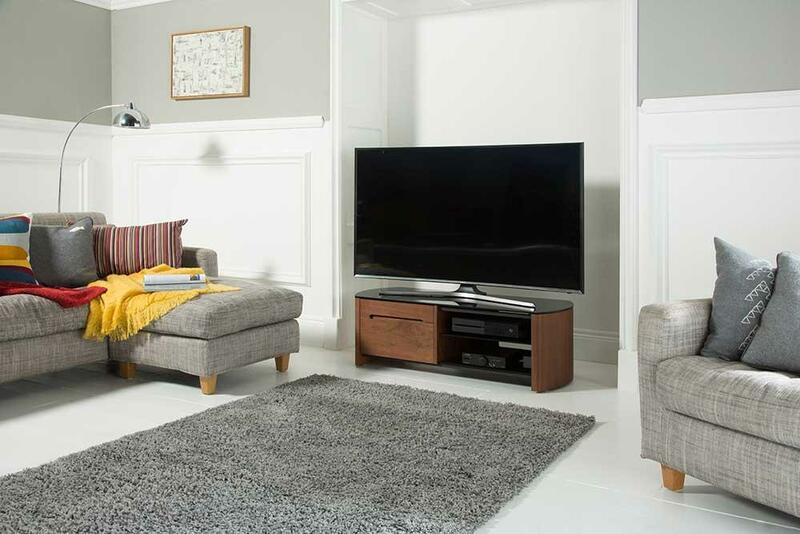 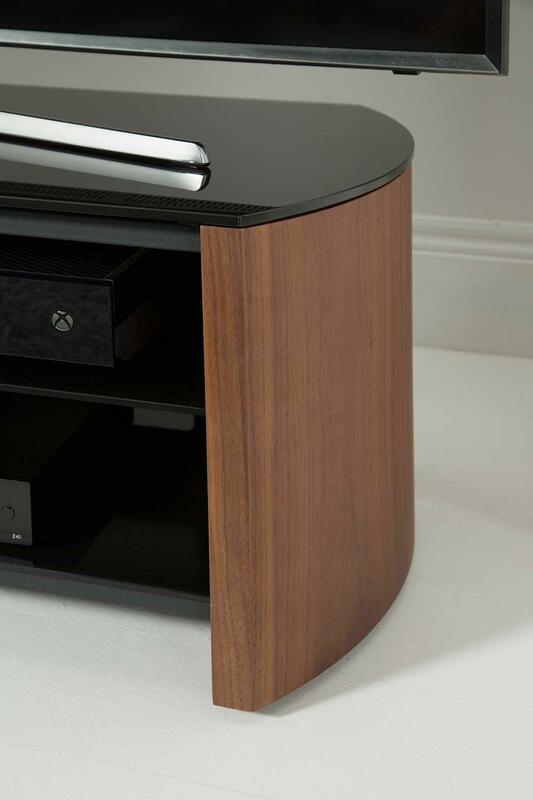 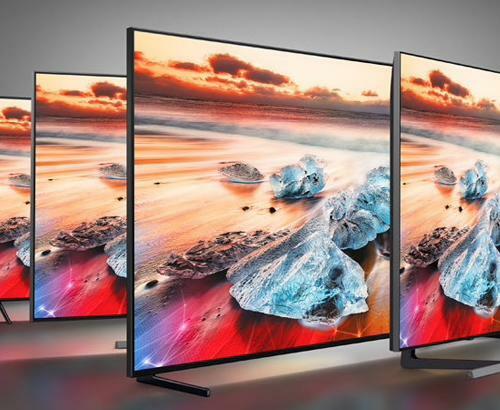 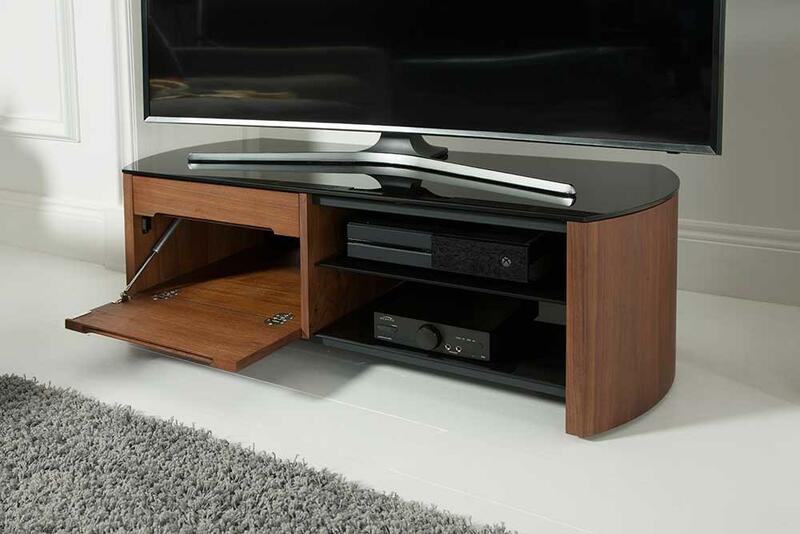 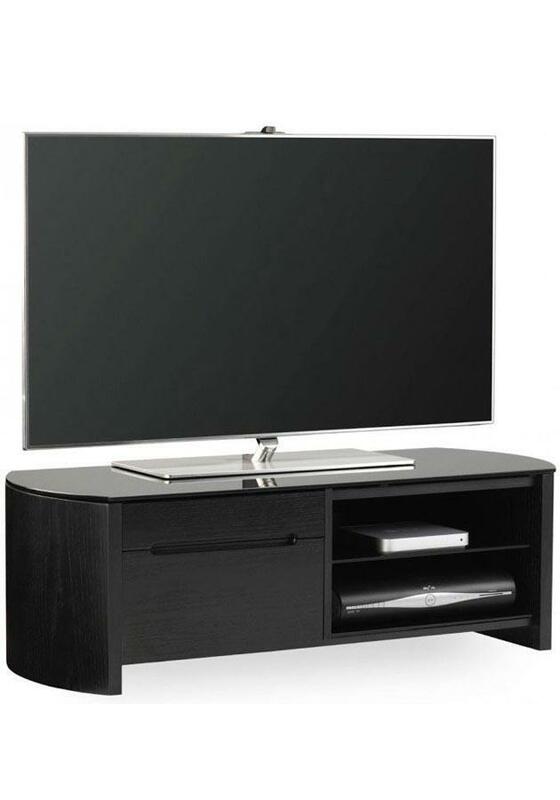 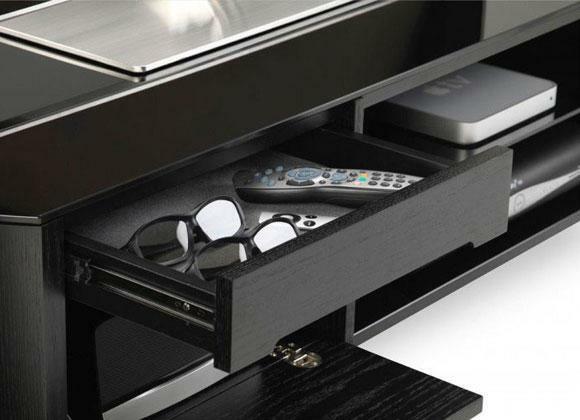 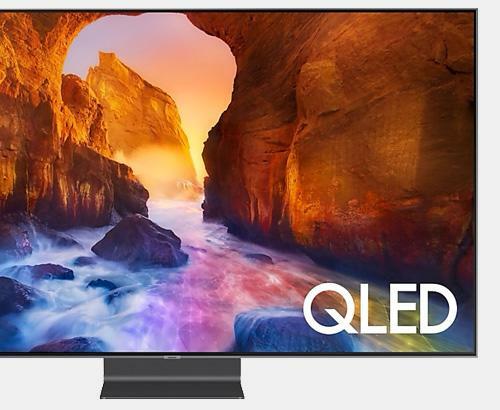 The Alphason Finewoods FW1100 Television Stand also comes featured with wood veneer rear panel which includes cable management holes allowing you to tuck away your AV cables. 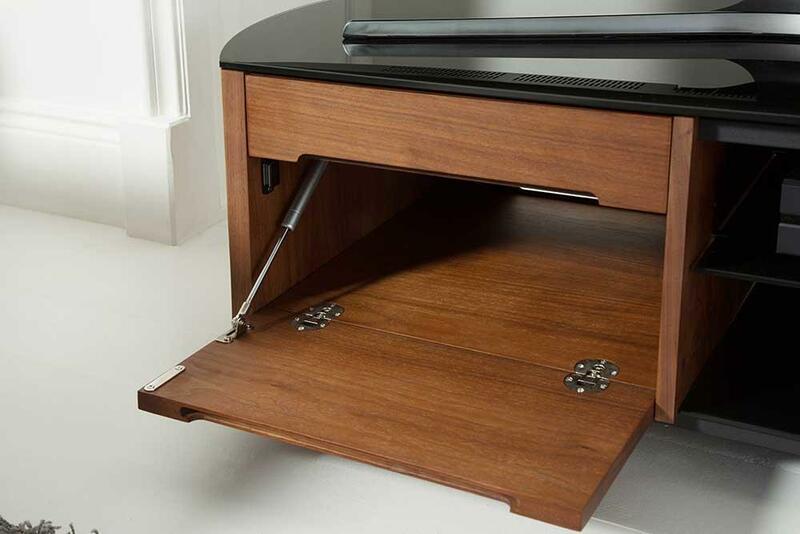 The unit comes supplied with carpet glide feet, which are also height adjustable to allow you to level the unit and prevent wobbling on uneven floor surfaces.